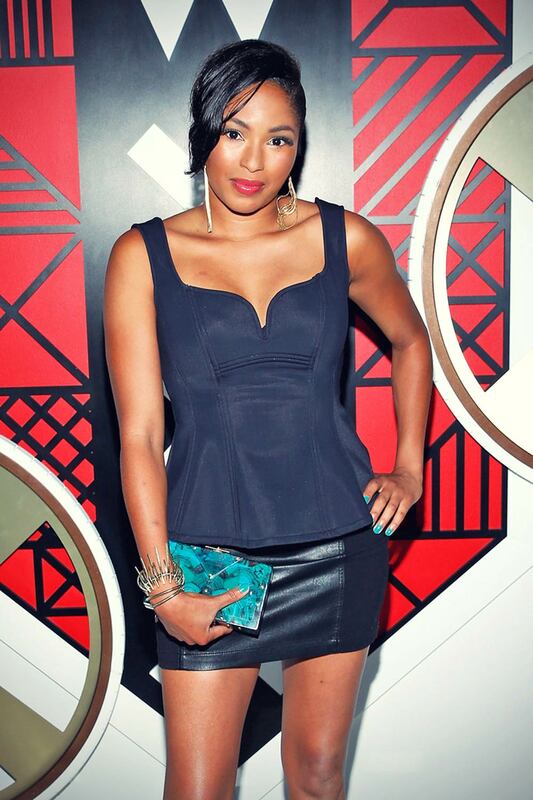 Alicia Quarles attended All Aboard! as W Hotels toasts the upcoming opening of W Amsterdam with 'Captains' Taylor Schilling, Erin Heatherton, Chanel Iman and Coco Rocha on the Grand Banks in New York City on August 18, 2015. Alicia highlighted her curves in black mini skirt with leather panels that she paired with matching peplum top, while she added a pop of color to her look with super stylish pair of yellow heels and a classy blue clutch bag. Several pieces of gold jewellery completed her look. She painted her nails turquoise and sported a full face of makeup. She emphasized her eyes with shimmering eyeshadow, lashings of mascara and a swipe of eyeliner. A swipe of bronzer under her cheekbones and a dash of dark pink lipstick topped off her look. She looked gorgeous!